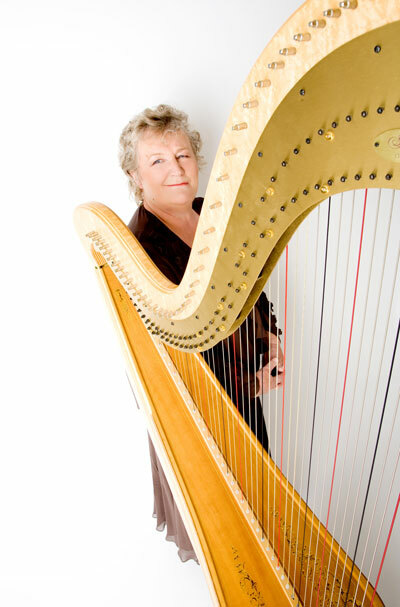 A sensitive and versatile musician, this harpist’s music can be relaxing or vibrant as the occasion demands. She has a busy playing schedule - from weddings, civil partnerships, drinks receptions, dinners and corporate events, to providing calm music at funerals and memorial services. Her beautiful playing creates atmosphere, at venues from stately homes and country house hotels to hotels and smaller places – even on a Thames barge! 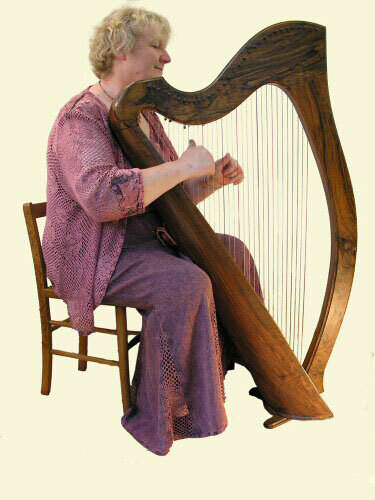 This harpist can play her beautiful antique pedal harp or her smaller clear-toned celtic harp for your event. 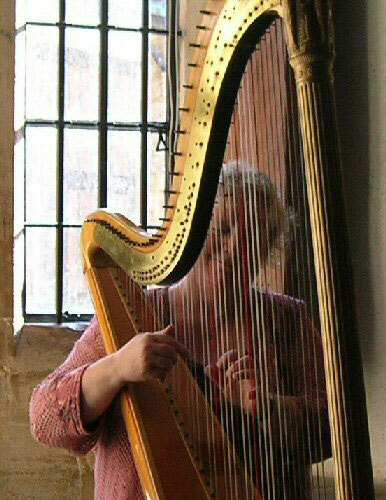 She has a very extensive repertoire, from light classical to atmospheric Celtic, and from popular to jazz, folk and early music, and is equally happy playing from music or by ear, improvising when appropriate, fitting the music to the timing and mood of the occasion. 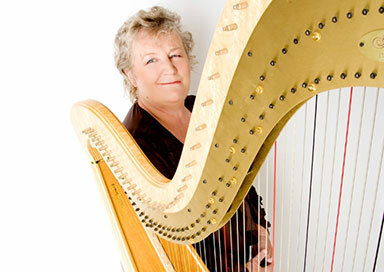 She also played for many years as half of a celtic harp duo, and has a wide repertoire of imaginative solo arrangements of traditional music from the British Isles and beyond, including Irish, Scots, Welsh and English tunes. She is happy to help you choose repertoire to make your event personal, often learning a new piece of two for an occasion by request. And more - ask if your favourite is not here. If there is a song you would particularly like included, it may be possible for me to make an arrangement. Please ask about other songs you might wish to have. 1. Irish - Well known tunes and songs e.g.